Everton are searching for a new manager after David Moyes decided to take over at Manchester United when Sir Alex Ferguson retires. Moyes, did a fantastic job and deserves a lot of credit for what he has done at the club and even though he has not delivered any trophies in his time at the club, he has certainly raised the profile of the club and made them a much better side then when he first took over. I am sure there will be some Everton fans that are disappointed in Moyes leaving but that is to be expected but they must surely understand this is a once in a lifetime opportunity, not only for him to manage Manchester United but for a British manager to be in charge of one of the top clubs in the Premier League. Personally, I hope he does really well as this will encourage other clubs to take a chance on British managers rather than constantly looking abroad. His 42.05% win record is very good, especially when you consider that they battled against relegation a few times under him. But, now it is time to look for a new manager to continue the good work of Moyes. 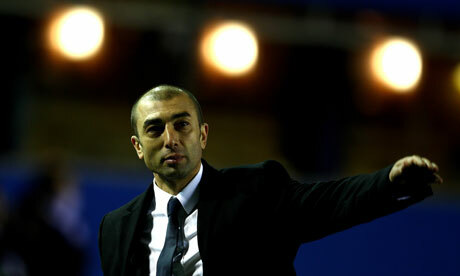 Roberto Martinez is the favourite for the job and I can fully understand why he is being linked with the job. Martinez has got Wigan Athletic playing some good football and if he had better players at his disposal I think he could replicate the finishing positions of Moyes. If Wigan do go down I do think he will leave and I don’t think that should put Everton off getting him in as boss. He is good at bringing in good players at low prices and finding young talent that will go onto bigger and better things and although Everton aren’t a selling club, they do not have a lot of money to spend on transfers so this is a perfect fit. Someone that has been linked with the job early on is Vitor Pereira and I was very surprised with this. He is currently the manager of Porto and has had a very good start to his managerial career but he was heavily criticised because of their elimination from the Champions League and this may just make him want to leave the club in the summer. He may turn out to be successful and follow in the wings of Jose Mourinho and Andre Villas-Boas in becoming a good Premier League manager. Neil Lennon is also linked with the job and this could be possible because he has won nearly everything at Celtic and at the moment the SPL certainly isn’t very strong and they should walk the league for a number of years to come. This could mean that he wants a new challenge and a good move for him could be Everton and I would like to see how well he would do in England. However, I do think he could be a risky choice because even with all his trophies, he is largely untested at a good level. Others linked with the job are Phil Neville, Michael Laudrup and Martin O’Neill. 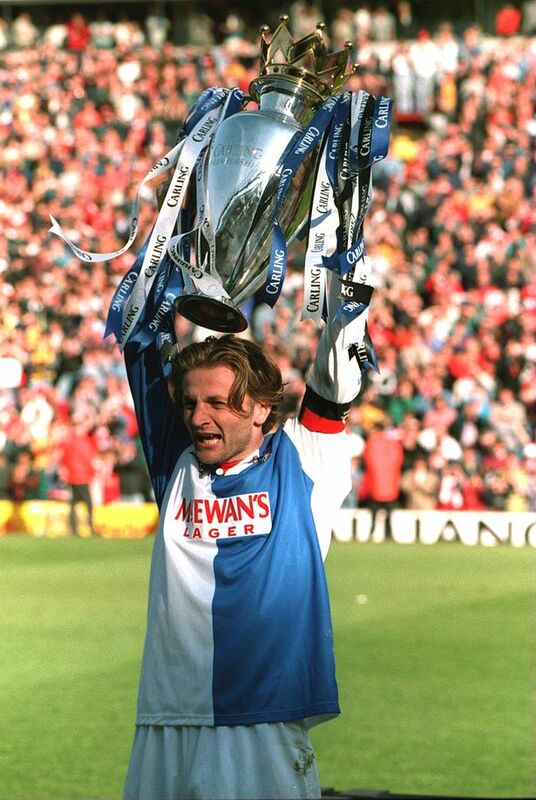 Who will be Blackburn Rovers next manager? 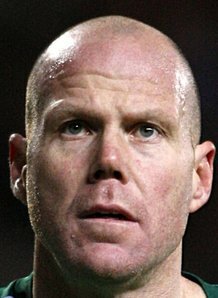 Steve Kean has finally left Blackburn Rovers after months and months of unrest at the Championship club and the fans have finally got what they wanted. Yes, I agree with them he definitely shouldn’t have been in charge for as long as he was and when things weren’t going right in the Premier League he should have gone but some of them went about it in the wrong way and just showed how fickle football fans are, one minute they were singing, ‘We are top of the league’ then when the results weren’t going well, ‘Kean out.’ I am glad he has gone because now the club can go forward and the fans will return to Ewood Park and support their team, but if they do end up getting promoted then Kean deserves a lot of credit because he has assembled a decent squad and his signings in the summer were good, in particular Danny Murphy, Dickson Etuhu and Jordan Rhodes. However, only 21 wins in 74 games is not good enough, so who will replace him? The favourite is Tim Sherwood, who was their captain in 1995 when they won the Premier League title so he obviously knows what it is like to be around the club when everyone is happy and things are going their way. Sherwood could bring the good times back but it would be very risky in my opinion because this would be first managerial job and his lack of experience could work against him, especially in the Championship when there are a lot of managers that know what they are doing in the division. However, he has worked under some good managers in Harry Redknapp and Andre Villas Boas so if he ever needed advice he could ask them and I’m sure he will have a lot of contacts in the game so he could make some shrewd loan signings, if needed. The next person linked with the role is also someone that was part of that title winning side and that man is Alan Shearer. 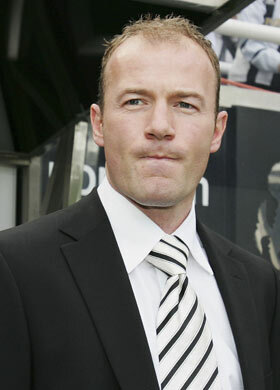 Shearer, does have a little more experience than Sherwood but his short spell in charge of Newcastle United ended in relegation after losing five of his eight games in charge. I’m sure the fans would take to him as he was a legend at the club and scored goals for fun at the club so they would hope he would get the best out of their strikers, in particular, Jordan Rhodes, who has been branded the next Alan Shearer. 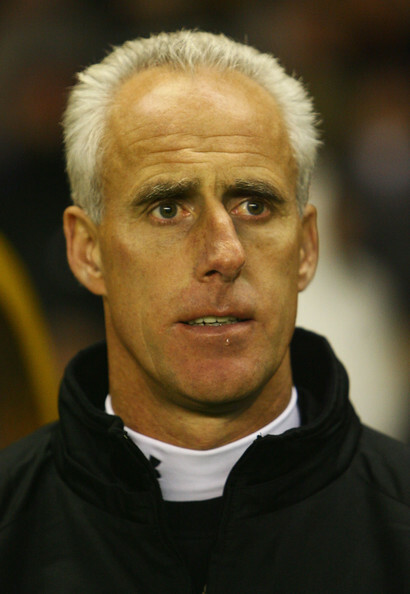 Finally, someone that may not be as popular but would get results in my opinion and that man is Mick McCarthy. He may not be a big name or even someone that would excite fans but he knows what he is doing and has achieved some sort of success everywhere he has been. Gaining promotion from the Championship isn’t easy and he has done it with both Sunderland and Wolverhampton Wanderers, both times winning the league in the process so he obviously knows exactly what is needed unlike his rivals for the post. Will Jermain Defoe leave Tottenham Hotspur this summer? Jermain Defoe may be the only experienced striker at Tottenham Hotspur but surprisingly he has been linked with a move away. Last season was a frustrating one for the former Portsmouth striker as he only started 11 Premier League games and was constantly overlooked because Harry Redknapp wanted to play with Rafael Van Der Vaart just behind Emmanuel Adebayor. He wouldn’t have fit into their system that well last year in my opinion and that is the reason why he struggled for game time. When he on the pitch though he mostly produced the goods scoring 11 times in his 25 appearances and 17 in 38 games in all competitions so he has proved he does still have the quality to succeed in the Premier League and his career isn’t coming to an end. I was very surprised to see him linked with a move away but maybe he just isn’t an Andre Villas-Boas type of player but with a deal for Adebayor not completed yet he may be forced to use Defoe at least for the start of the season. The England international has 195 goals in his career so far and will be desperate to get to 200 goals as quickly as possible and to do that he may have to leave if he isn’t guaranteed first team football. QPR have been heavily linked with him and they do have the funds to buy him and pay the wages so I can’t see why this transfer wouldn’t go through unless the player himself wants to play for a team challenging at the top of the table. However, QPR are building a good squad and may be outsiders for a European place in the coming season and could be a good shout for a cup win. He could compliment Bobby Zamora very well and has been a more consistent goal scorer than both Andy Johnson and Djibril Cisse so he could help push the club onto the next level. Martin O’Neill is also keen on Defoe and Sunderland could do with a goal scorer as they haven’t really replaced Darren Bent and Asamoah Gyan in recent years with Nicklas Bendtner coming in on loan last season. It is unclear whether he will come back either on loan or permanently again so they will have to look elsewhere. 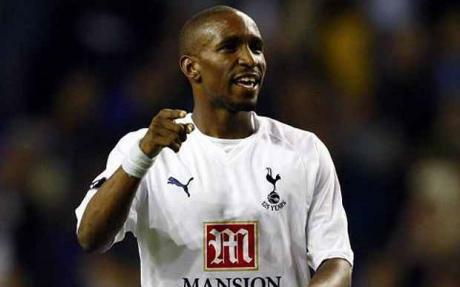 A major problem could be that Defoe hasn’t played for anyone in the north so he may be reluctant to move to the area. Finally, Aston Villa could be looking at the striker and this would be an interesting move as Darren Bent is also at the club and when they were both at Tottenham together they didn’t really play that often and that could mean that they weren’t a good partnership. I can’t see them working well together but maybe I will be proved wrong. If he did sign then they would have a quick attack with Bent, Defoe and Agbonlahor so they would be very threatening on the counter attack and would cause a lot of problems for their opposition. Who will Salomon Kalou play for next season? 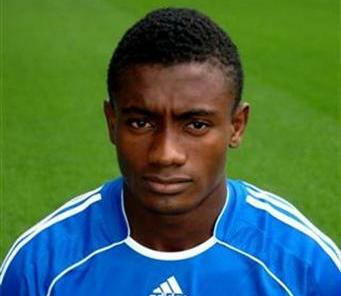 Just days after winning the Champions League Salomon Kalou has left Chelsea and is in search for a new club. The 26 year old has been at Chelsea since the 2006-07 season and scored 58 goals in 244 games for the club which isn’t a bad record for a player that was often used from the bench. In his first season, he played the most matches he would as he played 57 times and contributed nine goals as well as 10 assists. For the next four seasons he was very consistent and hit at least 10 goals, including the 2009-10 season when he got 12 goals in 36 appearances. But for some reason this season he never really got going and under Andre Villas-Boas he was rarely used. He only played 24 times and got five goals but one of these was very crucial as he scored the only goal of the game away to Benfica in the quarter final of the Champions League. Maybe it is the right time for him to move on as he was getting used less often and maybe was behind Juan Mata and Daniel Sturridge in the pecking order for the two wide positions, especially in the Premier League. So if he wanted to stay at England where would he go? He could sign for London rivals Arsenal as they could fit his style of play. He likes to get the ball out wide and cut inside so he would do a good job for them on the wings but it may be difficult for him to stamp his authority on the team especially with the likes of Theo Walcott, Alex Oxlade Chamberlain and new signing Lukas Podolski able to play in similar positions. He would definitely add another threat but he may not be happy as he may not be first choice but it would still be a good move in my opinion. Tottenham Hotspur have also been linked with him and if they lose key players this summer in particular Gareth Bale they will need to replace them. 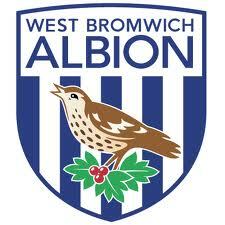 At times in the season just gone Spurs looked a little weak on the wings especially when Aaron Lennon got injured. Rafael Van Der Vaart looks a lot more comfortable playing in the hole behind the striker rather than on the wing so I think Kalou could be a very good signing for the club. He arguably has a better final ball than Lennon so could even take his place and with Bale on one side, Kalou on the other, Van Der Vaart and the main striker will certainly get a lot of balls to attack in the box as well as benefit from clever through balls. Finally, Liverpool could be interested in signing him as they have looked poor in the midfield area this season with Jordan Henderson and Stewart Downing not living up to their price tags and were in all honestly not good enough for Liverpool. He can play on the left or the right and would link up well with both of their strikers. He could feed off Andy Carroll’s knock downs and also combine well with Luis Suarez on the floor. With Dirk Kuyt’s future unclear he would be a fantastic replacement and score around the same amount of goals a season. I think he should join Tottenham and help them secure a Champions League spot next season because I think they would be a good fit for each other and under Harry Redknapp’s guidance he could become an even better player. Kenny Dalglish has left Liverpool and now the club are clearly trying to get the right man as they have reportedly talked to a number of managers. With Brendan Rodgers the latest to have been linked with the role at Anfield, but he has declined to talk to the club as he feels it may be too early. This may be a good thing for both parties as Rodgers has only had one season in the Premier League and we do not yet know how Swansea will cope next season. Even though Liverpool is a massive club, they do need to re-evaluate where they are right now and make sure they are looking at the right sorts of candidates. A lot of fans have thrown around names like Pep Guardiola and Jurgen Klopp who realistically wouldn’t be interested in the job as they were both managing Barcelona and Borussia Dortmund who unfortunately right now are a lot better than Liverpool. So who is it going to be? Roberto Martinez is clearly the favourite at the moment and it is easy to see why. He has done a terrific job at Wigan Athletic and to keep them up playing the way they do is a real achievement, they were in trouble this year and were written off by a lot of people but he changed the tactics and formation and it worked superbly. People may argue he has only managed small clubs but he is working his way up the ladder and people questioned him when he left Swansea City for Wigan and said his style of football would get them relegated but he proved them wrong and in my opinion with better players at Liverpool, he will prove the doubters wrong again. The question for Liverpool is, do they want some that is going into the job with confidence (Martinez) or do they want someone that is wanting to come in a prove a few people wrong? The man that could do this is Andre Villas-Boas. He was sacked by Chelsea only a few months ago but in my opinion was trying to do the right thing and clear out the older players, for the new. It is hard to argue that Chelsea’s best two players this season have been Juan Mata and Daniel Sturridge who he brought into the starting 11 at the beginning of the season. He wouldn’t have as much of a problem with player power at Liverpool and could be a good fit. If he is given the time, he can build something at Liverpool and in a few years I could see them challenging for the title again if he is backed in the transfer market. 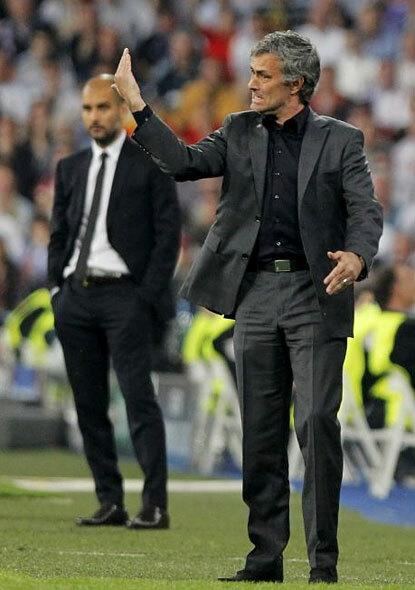 A third option for Liverpool could be giving an old manager a second chance at the club. Rafa Benitez is still available after leaving Inter Milan and he delivered the club the Champions League and almost a Premier League title so the fans love him and he still loves the club which is clear to see whenever he talks about it in interviews. Would it be a backwards step? No in my opinion, he has enough knowledge and quality to get Liverpool back into the European places and will already know a lot of the players and they in turn will also know what he wants them to do in training and in matches. But the owners may be put off by the fact they have tried this once with Kenny Dalglish. Personally, I think if the new manager is going to be given a few years to build a squad, the best option would be AVB just simply because he deserves another chance in the Premier League and I’m sure he will be a success. Plus, he is a young manager and could even be in charge for the next 10 years if it is going well. 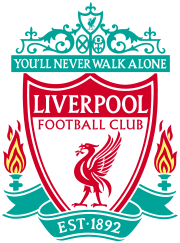 Liverpool need someone to take them back to where they belong but it won’t be easy and it will be a long process. Chelsea have sacked their manager Andre Villas Boas and will try to find someone who can deal with Abramovich, Terry, Lampard and Drogba. I do not who is worse because it is blatant that these players run Chelsea and if they don’t like a manager then he will not last very long. At least Abramovich owns the club and can do whatever he wants because it is his money that he is pumping into the club but the players have no excuse, it doesn’t matter who the manager is, he deserves respect and should have full control over the team and not be influenced by players. This is why I feel sorry for Villas Boas because he is only a young manager and would have had a great future at Chelsea if the old regime weren’t there. I blame Mourinho slightly for this because he gave the players the confidence and made them feel like they were the best in the world and now nobody can control them. This is why Jose Mourinho should be a contender for the job and if Chelsea want to be real challengers for the title then they have to bring the man in at all costs. He is the ‘Special One’ and nobody can argue with his record, everywhere he has been he has won trophies, including the Champions League with Porto and Inter Milan. In his first spell, he only lost 18 games out of 185, so why did he ever leave? Abramovich is the reason and he needs to swallow his pride and do whatever is necessary to make sure that Mourinho manages Chelsea again because they desperately need him. However, if the club don’t want to hire him then there are plenty of other candidates, Rafael Benitez has been linked with the job and he has also won the Champions League which is what Abramovich wants so that gives him a good chance. But when he was manager of Liverpool, he did a solid job but nothing more than that, he got them into the Champions League most years and had a decent win percentage. However, between him and Roy Hodgson they have left Liverpool in a position that they probably shouldn’t be in. Also, his last job at Inter Milan went horrifically even with some world class players like Wesley Sneijder, he could not get them to perform. He may get the respect of the players because of his achievements but this is not a certainty with the massive egos at the club. Finally, Pep Guardiola is a huge name in the game and has won loads of trophies at Barcelona and therefore if he wants the job, he should probably be given it. Will he want the job though? He might want a new challenge especially if he wins the Champions League yet again and he might just want to test himself in a new environment. However, if he did come to England I think he would rather go to Manchester United or Arsenal because I think they would suit him more. An outsider is David Moyes but this is very unlikely as he isn’t the biggest name and I think Abramovich cares about that and will take it into consideration. The next manager should be Mourinho and if they can patch up their differences then Chelsea will be a force yet again and the players will know who is boss. Player power cost Villas Boas his job but I don’t think that could happen to Mourinho because he has a bigger ego than all of them put together and this is the reason why he is so successful. So Stuart Pearce has selected his first and possibly only England squad and the main surprises are the inclusion of Frazier Campbell and Tom Cleverley. He knows both these players well from their time in the under 21s and will obviously feel they have the potential to step up and make a big impact on the international stage. However, both these players are just coming back from injury and although they have performed quite well, particularly, Campbell it does show a lack of experience and quality from Pearce. Surely they won’t be 100% at the minute so what is the point of taking them just to sit on the bench or not even be included in the squad. Pearce did comment saying that Campbell was a very good squad player and was a big character in the dressing room when he was in the under 21 squad. If the caretaker England manager believes that he will have the same effect in the full squad then he is sadly mistaken because no offence to the Sunderland striker but there are better players than him in the squad and I cannot imagine high profile players will have much time for him if he tries to take control of the group. The experienced players like Steven Gerrard and Wayne Rooney will take control and tell him what is expected and he will have to listen to them whereas in the under 21s there will not be as many big characters so he could control the group. So maybe he has got a few selections wrong but at least he has brought Micah Richards back into the squad as he has been the best right back in the league and should have been our right back for years. I don’t think we have looked solid in that position since Gary Neville retired and Richards should have filled his boots but Capello obviously didn’t fancy him and preferred playing Glen Johnson who looks good going forward but is a very average defender. In the midfield he has basically done what all England managers have done and selected who he is expected to with him leaving out exciting players like Alex Oxlade Chamberlain and leaving the inconsistent Theo Walcott in his side. 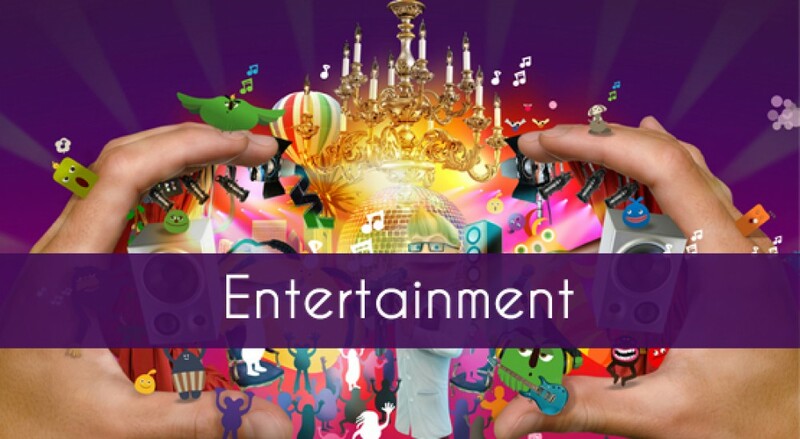 However, he has dropped Frank Lampard which to most England fans should be a fantastic thing because he has never really performed when it mattered and has been terrible at big tournaments. Add this to the fact that when he plays Steven Gerrard also underperforms, you have to wonder why he hasn’t been dropped sooner, maybe Andre Villas Boas has done England a favour by leaving him out of the Chelsea side. In attack he has probably chose the right options with Rooney, Bent, Sturridge and Welbeck as they are the most in form and should probably be the four that go to the Euros. It will be interesting to see if he plays two up front because he will have to consider what he will do in the first two games of the Euros when Rooney is suspended. The most worrying part about the England squad is the goalkeepers, if Joe Hart gets injured, England are struggling, Robert Green and Scott Carson are good enough for the bench but in a big tournament I would not trust them. All in all Pearce has not done what we expected, I was hoping he would bring in a lot of youth but no he has stuck with the players that have failed over and over again.